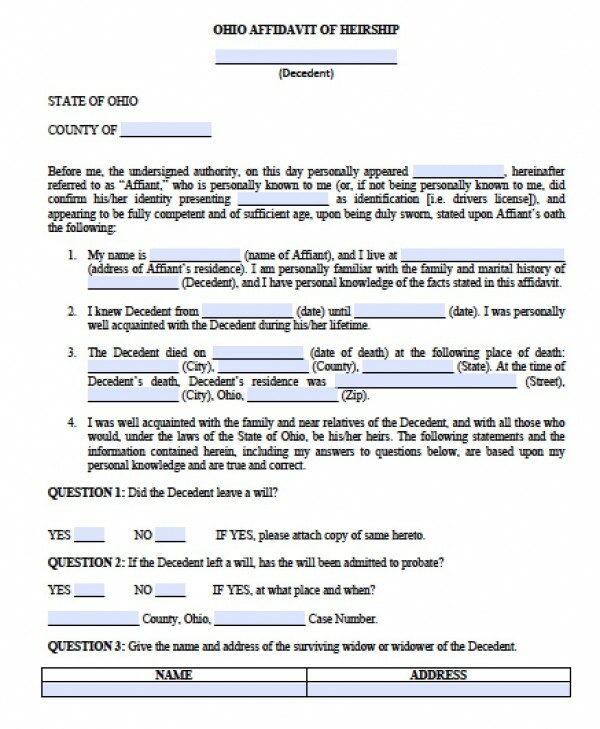 In Ohio, successors may file an affidavit of heirship to claim a decedent’s property and administer it outside of probate court. 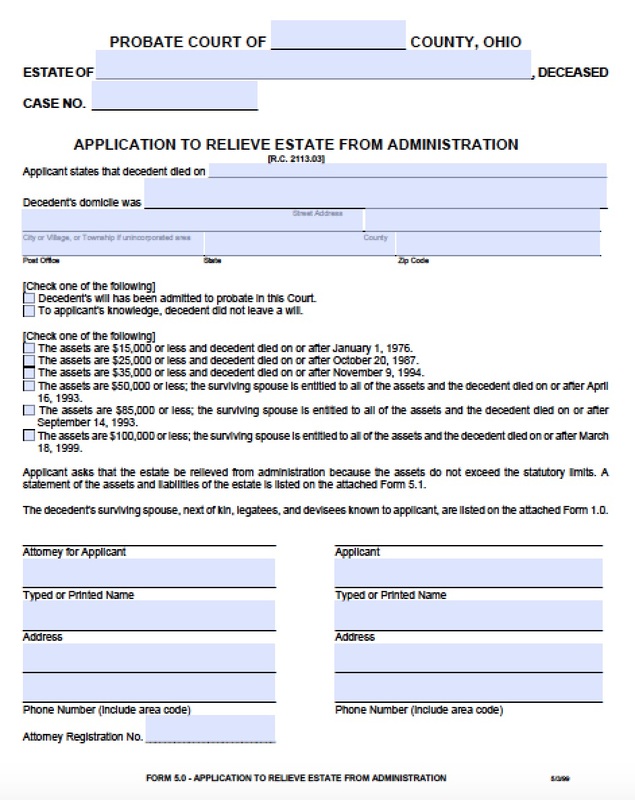 The affidavit process is governed by statute Ohio Rev. Code Ann. § 2113.03. Successors may claim personal property like bank accounts, trusts, and vehicles valued up to $35,000. However, if the affidavit of heirship is filed by a surviving spouse, then the estate can value up to $100,000.